Room 50 in the old building. 1905: Tonbridge County School opened on 24 January in the Technical Institute in Avebury Avenue Tonbridge. There were 19 students. The first Head Teacher, Mrs Taylor introduced the school motto, Courage and Honour. 1906: Junior girls moved to Brionne on the Pembury Road (now Charities and Commission offices). 1913: The School moved to the School on the Hilltop on Deakin Leas. 1919: The Annexe building was constructed. 1944: The Education Act of 1944 made the County School into the County Grammar School for Girls for pupils who passed the new Eleven Plus exam. 1947: The canteen was built. 1952: Kentleys boarding house was opened and quickly filled its capacity of 19 boarders. (Kentleys closed in July 1989). 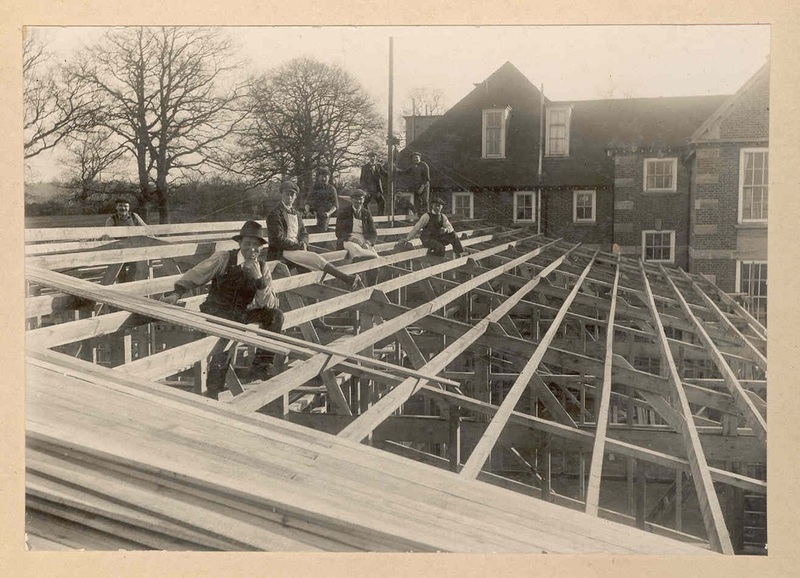 1957: The school hall, science block, gymnasium, Head teacher’s office and school office were added. 1963: The school swimming pool opened. 1967: Library wing and music block were built. 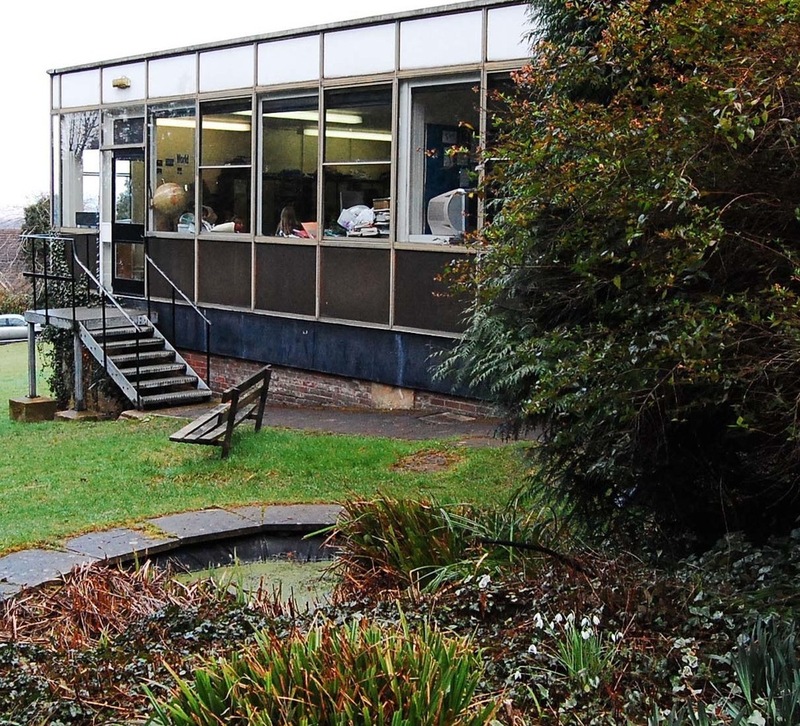 1974: The Hillview annexe was built (later to be known as the Mitchener Centre). 1996: The Matthews Centre, more commonly known as the Tech block was opened in 1996 and the building was dedicated to the memory of Gary Matthews, Vice Chair of Governors 1993 to 1999. 2002: Sixth Form became co-educational. 2006: The International Baccalaureate Diploma was introduced alongside A levels. 2009: The Hands Building was officially opened on Wednesday 31 March. 2010: The original School on the Hilltop redevelopment was completed in June 2010﻿. 2011: Outstanding Academy converter January 2011. 2012: IB Diploma replaces A levels in Sixth Form from September 2012. 2013: Redevelopment of Science laboratories thanks to the School Fund and The Wolfson Foundation. 2015: 110th Birthday and 10th Anniversary of the IB Diploma. 2015: The opening of the IBarn for Sixth Form and major refurbishments to Music. Special thanks to the PYP campaign, our benefactor, PTA, Amadeus, Black Cat, Garfield Weston Foundation. 2015: Motet Choir celebrated its 25th Anniversary under the directorship of Mr Adrian Pitts. 2018: #OurBigOutdoors sport and recreation for all. Facilities opened April 2018. The School is profoundly grateful to our private benefactor who so generously supported the School's fundraising.